RAYMOND, Miss. —Â Penske Racing reached the pinnacle of the sport with their Sprint Cup Series championship in 2012, but faced some hard times during the 2013 season. Can the organization get back in championship form in 2014? Heading into the 2013 season, Penske Racing made a multitude of changes. 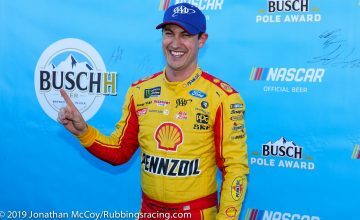 Along with the implementation of the new Gen-6 car, the team also switched manufacturers from Dodge to Ford and brought Joey Logano into the organization from Joe Gibbs Racing to take over the No. 22 car that was shared by A.J. Allmendinger and Sam Hornish, Jr. in 2012. The organization got off to a strong start in 2013, with Brad Keselowski racking up top five finishes in five of the first six races of the season. As the series made its way to Texas for race seven, Keselowski sat second in points, while Logano was in 11th. That was when the wheels began to come off for the 2013 season. In pre-race inspection at Texas, the cars of both Keselowski and Logano were found to have unapproved rear housing parts, causing both teams to be docked 25 driver and owner points and fined $100,000. After both appeals failed, Keselowski fell to sixth in points and Logano dropped all the way down to 17th. The remainder of the season was a struggle for both drivers as they had to claw their way just to get close to Chase contention. With a run of top five finishes starting at Indianapolis in July and ending at Atlanta in September, including a win at Michigan in August, Logano climbed into the top ten in points after the regular season ending race at Richmond to make it into the Chase for the Sprint Cup for the first time in his Sprint Cup Series career. Keselowski was not as lucky, only managing to finish the regular season in 15th place and missed out on the Chase for the first time since 2010, his first full-time Sprint Cup Series season. 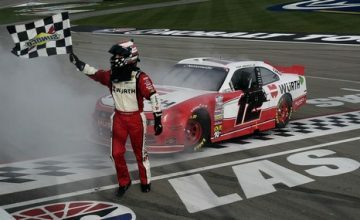 Both drivers found some success in the final 10 races of the season, with Logano winning the pole at Chicago and finishing in the top five in five of the 10 races, ending the season in eighth place after having started off the Chase with a 37th place finish at Chicago due to a blown engine. 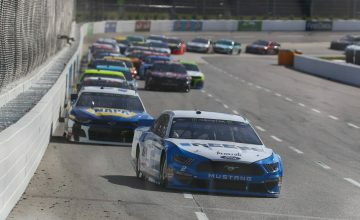 Keselowski also scored five top five finishes, including his first win of the season at Charlotte in October, and would wind up finishing the season in 14th place in the points. While the 2013 season was full of ups and downs for Penske Racing, look for both Keselowski and Logano to be making their way back to Victory Lane and contending for the Chase once again in 2014, having gotten one year under their belt with their new manufacturer and with the Gen-6 Ford model, which has undergone a few cosmetic changes for 2014 to make it more competitive with the Chevrolet and Toyota models. The No. 2 and No. 22 teams also will stay intact for the 2014 season with Paul Wolfe and Todd Gordon returning as crew chiefs and Miller Lite and Shell/Pennzoil returning as sponsors for their respective teams. David Morgan serves as the Associate Editor at Rubbings Racing and can be followed on Twitter (@damorgan86). A native of Raymond, Mississippi, Morgan has covered NASCAR events all over the United States.